There is light that gets in and comes through on my canvases. Shapes may look like windows with light coming from behind or dabs of paint may highlight an area to draw the viewer in. Light reflects across the uneven terrain of smooth and rough surfaces and changes from bright to subtle. 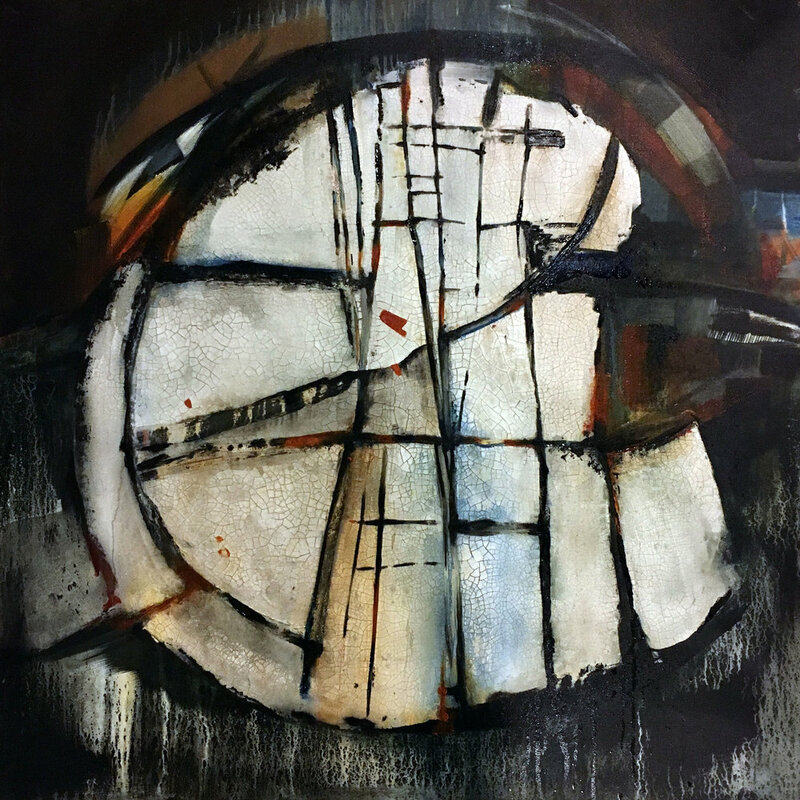 (SOLD) VESTIGES 36" X 36"
(SOLD) CIRCLE #1 36" X 36"
(SOLD) IN BETWEEN (2) 10" X 20"
(SOLD) Relic 36" x 36"
I start by establishing the composition through sketching on paper and defining the palette. I apply multiple layers of color and let the paint seep deep into the canvas so it adds an element of perspective and space. I also allow the paint to move to reduce any sense of perfection. Irregular surfaces are developed with mixed media of paint, plaster, fibers, gold leaf and modeling paste. I add depth by layering paper pulp, plaster and paint to build up the canvas with color and texture. Drips of paint and media are used to create movement or rhythm. All the while I’m thinking about my intention and the feeling I want to convey. I am constantly moving the canvas from easel to floor and back again to paint at different angles and allow gravity to move the paint. For me, the most satisfying part of abstract art is that we all see the same things differently. The viewer can experience the piece and decide how it makes them feel or what it makes them think about. It gives them the freedom to explore their own imagination and interpretation. My hope is that you enter the painting and go where it wants to take you.